Mighty Oaks: three young men, from three countries, combining three part harmonies, resulting in one unique sound. 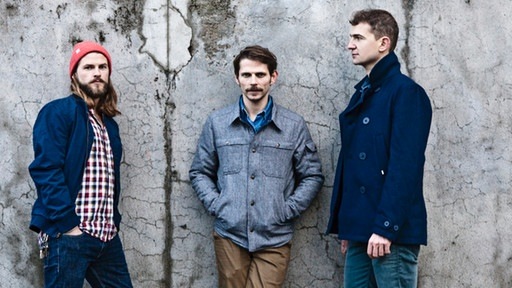 This Berlin based indie-folk band comprised of Ian Hooper (US), Claudio Donzelli (Italy), and Craig Saunders (UK) writes honest, authentic and emotionally driven songs. Acoustic guitars and mandolins form the center of their sound, layers of electric guitars a create space and depth that is rounded off through solid bass lines and the heartbeat of simple percussion. The music sets the perfect scene for the lyrics, which often draw their inspiration from the Pacific Northwest, the birthplace of Hooper. Set amidst these wonderful landscapes come tales of love, loss and the beauty of all that surrounds. In 2010 the band released a self-produced self-titled EP, recorded in Donzelli’s apartment, which has since gone on to earn them over 63,000 fans and 370,000 plays on SoundCloud. In the middle of 2012 they shifted their focus fully to the band, and spent the summer recording their first studio production. In a short space of time they’ve gathered support from both fans and the music industry alike. They recently signed a publishing deal with BMG Rights Management, and are working together with Berlin-based Melt! Booking for live performances. They’ve shared the stage with Dry The River and First Aid Kid, toured with Shout Out Louds in Europe, and recently hit the road with Chvrches as part of the INTRODUCING Tour in Germany. They also shared the stage with Kings of Leon at the Waldbühne in Berlin on June 27th in front of a 20,000+ crowd.